A team of industry and academic experts, transforming the way we experience transport. WMG, University of Warwick holds a unique position between academia and industry, with a strong automotive history and an international reputation. Passionate about manufacturing, innovation and technology, we provide the opportunity for companies to gain a competitive edge by working in partnership to create ground-breaking products, processes and services. Our intelligent interventions are rooted in practical thinking, and our plans and designs are shaped by our expertise in delivery. 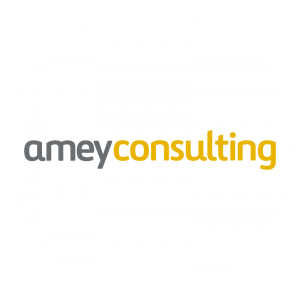 At Amey Consulting we’re passionate about infrastructure and dedicated to providing solutions for our clients. We are transforming how our transport, utilities, property and public assets perform, day in, day out. Our thinking is cutting edge. Our approach is practical. AVL is the world’s largest independent company for the development, simulation and test engineering of drive systems (hybrid, combustion engines, transmissions, electric motors, batteries, autonomous driving and software) for passenger vehicles, commercial vehicles, and large engines. AVL has more than 8,600 employees all over the world. In 2016, sales revenues reached EUR 1.4 billion. Costain is a smart infrastructure solutions company. Our purpose is to improve people’s lives by deploying technology-based solutions to meet urgent national needs across the UK’s energy, water and transportation infrastructures. We offer a broad range of services across the whole life-cycle of our clients’ assets, through the delivery of integrated consultancy, technology, asset optimisation and complex delivery services. Founded by entrepreneurs and industrialists as the Coventry School of Design in 1843, and in 2018 celebrating 175 years, Coventry University is a dynamic, global and modern institution with a tradition of teaching excellence, research with impact, bold international initiatives and transformational partnerships across the world. With road transport accounting for more than 90% of UK domestic mobility, the requirement for safe, secure and environmentally friendly transport has never been greater. HORIBA MIRA’s experts draw upon unparalleled engineering experience to solve transport sustainability challenges. By helping clients to develop intelligent and connected vehicles, they’re making journeys of the future safer, efficient and more convenient. Transport for West Midlands (TfWM) is responsible for transport infrastructure and public transport services in the West Midlands Metropolitan Area. TfWM are part of the West Midlands Combined Authority (WMCA) that works to improve transport, economic development, regeneration, employment, housing and skills and to deliver public sector reform. Wireless Infrastructure Group works in partnership with mobile and other wireless network operators, utilities, public bodies and large real estate owners to enable connectivity in busy and/or challenging locations including across transport and utility infrastructure, rural areas, inside large buildings and public venues and on city streets. Independent of any network operator, they invest in higher capacity ‘neutral-host’ infrastructure which mobile and other wireless networks are able to use on an open and shared basis. If you’d like to get in touch to find out more about Midlands Future Mobility, please fill in this form and submit.